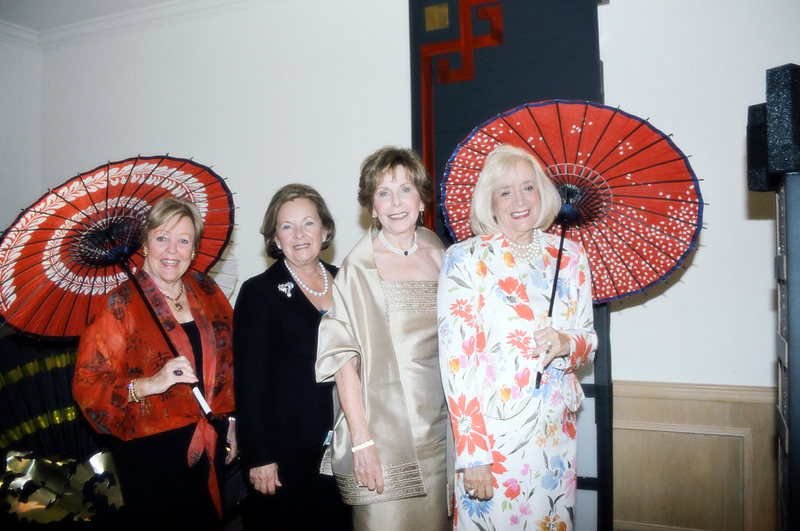 The Opera Society held a highly successful 3-day event, “The Cherry Blossom Festival”, April 4-6. 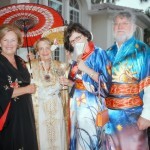 The first event was a kimono fashion show, followed by a masquerade party and ending with a luncheon. 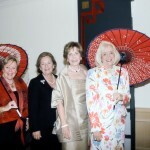 In the picture are the event chairmen, Jo Anne Lewis, Carol Harrison, Liz Hopwood and Barbara Lefka. Please click the photo to enlarge it. The Art Institute cocktail party was hosted by the Fort Lauderdale Art Institute’s Arlene Wites, Andre West and Ciro Marchetti seen here along with Ciro’s wife Maria. Please click the photo to enlarge it. 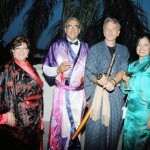 The party showcased the kimonos designed, made and assembled under the guidance of Andre West, head of the Fashion Department at the Art Institute of Ft. Lauderdale. The kimonos were conceived by Barbara Lefka, who presented the idea to Andre, who then prompted the imagination of designer Ciro Marchetti. They were then sewn by Sheila Rodriguez and her team of talented students. Arlene Wites, public relations director of the Art Institute arranged the cocktail party to introduce the kimonos and the talented people who made it all possible to the press and the world. 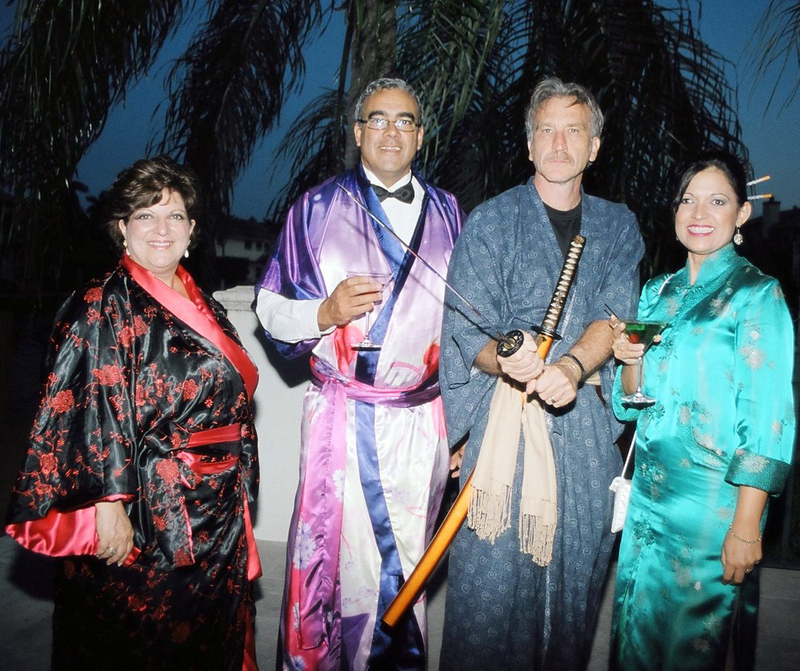 The Cherry Blossom Masquerade Party was held at the home of Ben and Carol Harrison off Las Olas Boulevard. Scott Schaefer, of Pier 66, catered the party with style and service galore. The menu was New York Strip Steak and the accompanying food delights were as special as the dessert. The bar was open and the guests took full advantage. Wine flowed and the glasses were never empty. 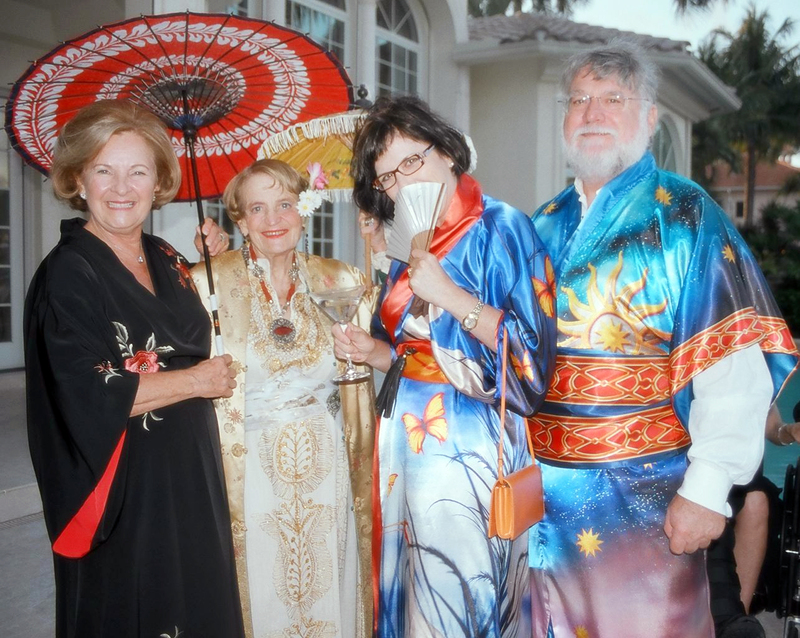 At left are Carol Harrison, Janet Wolff and Isobel & Roger Sturgeon all wearing kimonos that they purchased at the Cherry Vodka-tini Party. 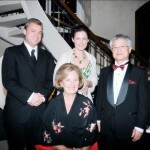 Among the illustrious guests present was the Consul-General of Japan, Mr. Hiroshi Yamaguchi and his charming wife Yoko. The entertainment was spectacular. Leah Partridge, soon to be seen in Florida Grand Opera’s production of Julius Caesar, sang a magnificent aria. On the high notes, the crystal shimmered without shattering. Out on the patio, bathed in the light of the full moon, two Oriental dancers performed a Japanese Drum Dance. It was breathtaking. 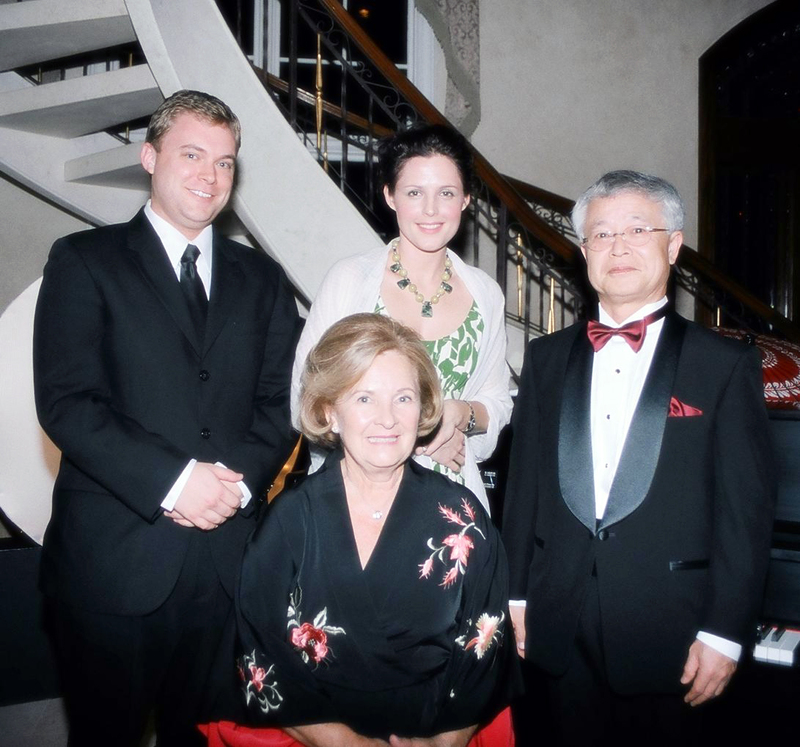 In this picture are Brian DeMaris, Carol Harrison, Leah Partridge and Hiroshi Yamaguchi. Dinner music was provided by Patricia Zanghi, formerly of the Cafe de Paris, who played non-stop for the remainder of the evening. It wasn’t until Good Night Ladies was played and sung that the guests reluctantly went home. The Cherries Jubilee Luncheon was held aboard the MS Westerdam – a luxury cruise ship that was totally donated by Holland America Lines. Ann Burris, Public Relations South Florida, Sally Stern, Director of Shore Operations and Maureen Orts, Sally’s colleague, all had a hand in making the luncheon a delight. Added to the high spirits and all around fun were the Young Artists provided by Cecelia Schieve, director of the Florida Grand Opera Young Artist Program. 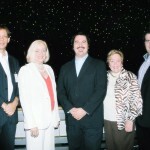 In the picture are Pedro Yáñez, coach and pianist for the Young Artists, Barbara Lefka, baritone Corey Crider, JoAnne Lewis and tenor Jon Burton. A program funded by your donations to the Florida Grand Opera. 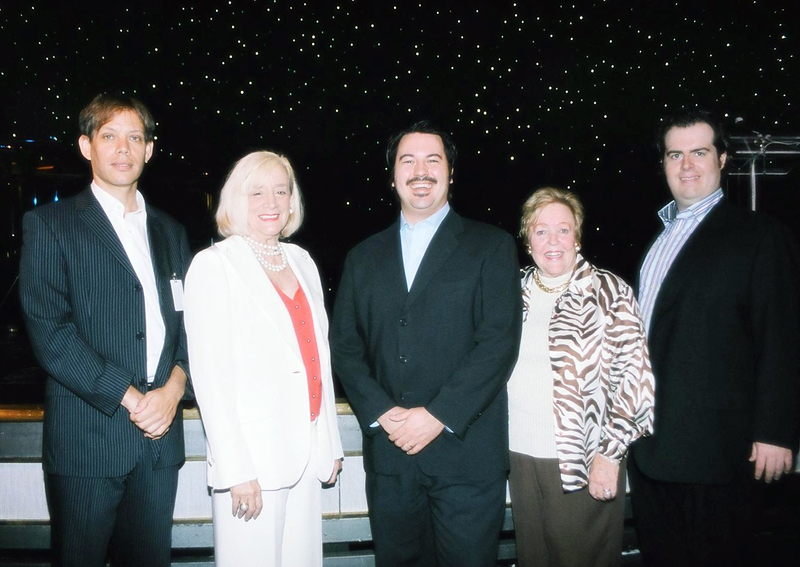 Heartfelt thanks to Bob Heuer, CEO, Justin Moss, Managing Director of Marketing and Communications, Judith Carney, Managing Director of Broward and Palm Beach Counties for Florida Grand Opera.